8. What do you think does not work overall about the system and might be changed? The system is flawed due to the lack of democracy in that none of the members of Dartmoor National Park Authority (and other NPs) are directly elected by the residents of the national park – see the more detailed response to Question 15. Any NP or AONB is only as good as the staff and members. More high quality specialists are needed, with regular training and debate for all employees and members of the Authority. For example, it is extraordinary that there is no trained and qualified historian working for Dartmoor National Park. 9. What views do you have about the role National Parks and AONBs play in nature conservation and biodiversity? Theoretically they play a very important role. However, Dartmoor National Park staff do not challenge the dominance of Natural England and so have little influence. They also seem easily led by fashionable concepts such as rewilding or peatland ‘restoration’ and do not take the lead themselves in coming up with new ideas. Could they do more to enhance our wildlife and support the recovery of our natural habitats? Yes, by encouraging sustainable use of woodlands, and by resisting the policies of Natural England and fashionable concepts of rewilding and rewetting of peatlands without evidence-based reasoning. The staff of NPs and AONBs should be the best qualified to shape new policies and thinking, but need more training and debate. 10. What views do you have about the role National Parks and AONBs play in shaping landscape and beauty, or protecting cultural heritage? The concept of ‘natural beauty’ needs to be challenged as the beauty of our National Parks and AONBs is very much a product of cultural activity over millennia. The protection of cultural heritage on Dartmoor has been poor – in the past twenty-five years, many archaeological features on open moorland have been smothered in vegetation largely due to the erroneous polices of Natural England (and English Nature). The protection of historic buildings is very patchy and there is a serious lack of understanding of the importance of 19th and 20th century buildings as evidence of the continuum of human presence and activity. 11. What views do you have about the role National Parks and AONBs play in working with farmers and land managers and how might this change as the current system of farm payments is reformed? On Dartmoor, much more respect needs to paid to the Dartmoor Commoners’ Council (created by the Dartmoor Commons Act 1985) as its members embody centuries of experience of good livestock husbandry. 12. What views do you have about the role National Parks and AONBs play in supporting and managing access and recreation? At the moment there is too much support for large-scale recreational events (e.g. cycling and running) which can have a damaging effect in many ways. 13. What views do you have about the way National Park and AONB authorities affect people who live and work in their areas? Are they properly supporting them and what could be done differently? There is surprisingly little support for the livelihoods of local people, especially those that have innovative and environmentally-friendly ideas. Recently the National Park has been aggressively hostile towards a community woodland settlement (Steward Wood) and to a sustainable woodland project (Hillyfield). Both these should have been singled out for praise by the NP as exemplars of alternative ways of managing land in environmentally gentle ways. 14. What views do you have on the role National Park and AONB authorities play on housing and transport in their areas? There are insufficiently strong policies for genuinely affordable housing. 15. What views do you have on the way they are governed individually at the moment? Is it effective or does it need to change, if so, how? The government of national parks needs radical overhaul. There is a fundamental democratic deficit in that 33,500 residents of Dartmoor National Park (and other NPs) are not able to vote for candidates in local elections who have put themselves forward to represent them on the National Park Authority. This is an extraordinary ‘black hole’ in the British democratic process as the current National Park Authority makes potentially life-changing decisions on a monthly basis affecting the environment and livelihoods of these residents. And yet none of the members of the Authority has been chosen specifically by the residents to represent them on the NP Authority. 16. What views do you have on whether they work collectively at the moment, for instance to share goals, encourage interest and involvement by the public and other organisations? There has consistently been a poor level of engagement of NP staff or of members of the Authority with the local community – this is fundamentally a problem of the ‘culture’ of national parks, i.e. that a national park must fundamentally be ‘a good thing’ and so staff and members tend to cocoon themselves into a state of cosy mediocrity, and sometimes a sense of superiority, without true engagement with local people (at parish meetings or community events). As an example, in our experience, NP staff or members have very, very rarely attended the numerous events which the Dartmoor Society has organised over twenty years and which have been open to the general public. 19. What views do you have on the process of designation – which means the way boundaries are defined and changed? The boundaries of designated areas are a concern. On Dartmoor, for example, it is bizarre that the key towns of Okehampton, Tavistock and Bovey Tracey are excluded from the National Park as they are essential to the economic and social well-being of those who live within the present boundary. Logically, based on culture, geology, etc, the Dartmoor region should extend westwards to the River Tamar, which would be a natural boundary. We would not support the creation of any new national parks unless the issue of the democratic deficit was resolved. In any area, high quality information about the natural and cultural environment, shared with local communities, should be the basis of good decision-making. Designations should not, in theory, be necessary, as communities would take pride in what was known about their place and so would instinctively safeguard it. We recommend the creation of Ecocultural Zones for all open moorland and Access Land – see the more detailed response to Question 23. 22. Do you think the terms currently used are the right ones? Would you suggest an alternative title for AONBs, for instance and if so what? The term Area of Outstanding Natural Beauty is misleading and woolly as a concept. These are clearly cultural landscapes shaped by millennia of human interaction with the land and its ecosystems. Area of Outstanding Cultural Landscape would be more accurate as a title. 23. The review has been asked to consider how designated landscapes work with other designations such as National Trails, Sites of Special Scientific Interest (SSSIs), Special Areas of Conservation (SACs), National Nature Reserves (NNRs) and Special Protected Areas (SPAs). Do you have any thoughts on how these relationships work and whether they could be improved? A plethora of designations is confusing for the general public. Within national parks, we have concluded that, on open moorland, the current legal designations of Site of Special Scientific Interest and Scheduled Monument, and the informal designations of Premier Archaeological Landscapes, are no longer fit for purpose and have failed to deliver good management of either the natural or the cultural environment. The SSSIs were created from 1952, for nature conservation reasons alone, and have dominated decision-making on open moorland. At that time there was no understanding of the extent of the cultural landscape of Dartmoor which we now recognise to be one of the finest in the world in terms of extent, chronological range, diversity, state of preservation and ease of access. It contains messages for 8000 years of human relationship with the land. The dominance of SSSIs has created an imbalance between Nature and Culture. We therefore need a new legal designation of Ecocultural Zone for open moorland and access land, with nature and culture given equal weight. This would transform thinking and management decision-making. 24. Do you have any other points you would like to make that are not covered above? There should be overt support for small-scale local use of local resources of stone, wood and minerals, plus micro-hydro energy schemes and any other low-impact environmentally-friendly projects. There should be much more emphasis on high quality research. National Park HQs should be research ‘hubs’ with an unrivalled ‘library’ resource, freely available to the general public, of information relating to all aspects of the cultural and natural environment of the national park. We would like to draw your attention to the letter shown below generated by our Chairman Dr Tom Greeves in support of Yennadon Quarry’s plans to obtain planning permission to complete a proposed, modest expansion. The planning application is logged under number 0348/15 and if like us you wish to support Yennadon Quarry please feel free to generate a letter of support yourselves. From a historical point of view there is more information regarding Yennadon Quarry’s plans etc in a previous Dartmoor Society Newsletter, Number 51, dated October 2014 which has a picture of the Quarry on the front cover. Also at the time, Tom wrote on behalf of the Dartmoor Society to the Western Morning News outlining his disappointment at the DNPA recommending refusal of the Quarry’s previous planning application itemised (number 0667/13) which was also for a modest expansion programme. This letter was featured on pages 9–11 in our Dartmoor Society Newsletter Number 51 and there was also a write up regarding a very successful Dartmoor Society walk incorporating Yennadon Quarry on Wednesday 11th June 2014 led by Liz Miall on pages 17–19 of the same Newsletter. Looking at Yennadon Quarry’s current situation your valued support for this extremely essential, but also very discreet local enterprise is greatly appreciated. I am writing on behalf of the Dartmoor Society which has a membership of some 450 persons. For seventeen years the Society has been an independent voice for those who find Dartmoor a source of livelihood or inspiration. We fully support this application by Yennadon Quarry for modest expansion to allow fulfilment of its current planning permission to 2025. The application reaches to the heart of understanding and awareness of the cultural history and landscape of Dartmoor, and of sustainability and the wise use of resources. Yennadon is the last active stone quarry working on moorland Dartmoor, out of scores that once existed. As such, it is a cultural icon and living heritage link to the previous generations of quarrymen and their families, who have shaped what is one of the finest cultural landscapes in the world. Amazingly, this small-scale enterprise supports a workforce of twenty-seven. It provides stone for a wide area of west Devon and beyond, and is maintaining the historical value of Dartmoor which has always shared its resources (minerals, water, livestock etc) beyond the limits of Dartmoor itself. Its scale is entirely appropriate to modern Dartmoor and adds character to the Dartmoor landscape. The proposed expansion poses no significant threat to archaeology, ecology or the wider landscape and, once the quarry has ceased working (2025), it will soon become an intriguing site, sitting quietly within a moorland setting. After abandonment, we advise that foundations of any structures within the quarry should be left undisturbed, for the education and interest of future generations. 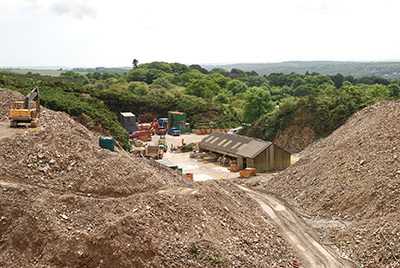 This quarry is exactly the type of small-scale locally distinctive enterprise, making wise use of Dartmoor’s resources, that deserves widespread encouragement. We urge Dartmoor National Park Authority to approve this application. The Dartmoor Society are delighted to receive a long awaited reply from James Cross of Natural England to our Chairman’s original letter dated 27th May 2015 on the subject of “Ponies on Dartmoor and grazing calendars for agri-environment Schemes”. Sincere thanks to John Holmes for his assistance in obtaining James’s response. James Cross’s letter is shown in its entirety below. Thank you for your letter to James Cross of 27th May: he has asked me to reply on Natural England’s behalf. We have received a lot of correspondence on this issue since the item in the Western Morning News and it is encouraging that people care so much about ponies. Natural England owns a small herd of Dartmoor ponies that does an important job in helping us to manage our East Dartmoor Woods and Heaths National Nature Reserve, as well as adding greatly to the enjoyment of our visitors. We are quite clear that for many reasons the ponies should be a valued part of the landscape of Dartmoor long into the future. Alongside the Dartmoor National Park Authority, we work with the Dartmoor Pony Society, the Friends of the Dartmoor Hill Pony, the Dartmoor Hill Pony Association, The Dartmoor Pony Heritage Trust, the commoners’ associations and other interested parties to help ensure that is the case. Primarily this has been by developing management agreements which provide financial support to farmers and commoners to help them with their careful management of their livestock and Dartmoor’s landscape. Grazing by both cattle and ponies can be beneficial for nature on Dartmoor: the overall stocking level and timing are the most important factors in helping nature to thrive. It is the commoners’ associations and individual agreement holders who make the detailed decisions on the precise mix on ponies, sheep and cattle on the moor at any one time. However, I can assure you that there is no plan at all for Natural England to remove ponies from grazing calendars and replace them with other types of animals. Understanding is the key to implementing effective grazing regimes so additional information is always welcome. Perhaps The Dartmoor Society could share its research through the Pony Action Group chaired by the National Park Authority? We are working with them and the Commoners Council to scope out what more research would be most useful to all interested parties. Our lead on this topic is Naomi Oakley naomi.oakley@naturalengland.org.uk. The following is the text of the 10-minute presentation which Dr Tom Greeves gave at the SW Uplands Federation Conference on 19 October 2012. In the past two decades two core policies of Natural England and DEFRA have been applied to Dartmoor commons which are misplaced, damaging and potentially disastrous in cultural terms – the policies of destocking the commons and rewetting the mires. The destocking seems to derive essentially from a belief that heather moorland is the optimum vegetation for the Dartmoor commons and that its decline in the post-war period is due to ‘overgrazing’. Neither tenet holds good. What is so special about heather? There certainly was more heather on Dartmoor in the mid-20th century but it was not always so. And did overgrazing really exist? – it did in some very particular areas where poaching occurred but actually the grazing pressure of the 1970s and 1980s was hugely beneficial in terms of the ‘public good’, enabling walkers to roam freely, farmers to tend and gather stock easily, and, of special importance, it revealed a suite of archaeological remains not seen before in the 20th century. The huge levels of destocking required under so-called environmental schemes (up to around 80% in some instances) in the last two decades have not resulted in the reappearance of heather. Instead we have unpalatable long grasses, and gorse, which impedes access, endangers those gathering stock and obscures one of the finest archaeological landscapes in the world, thus preventing research and analysis. The second core policy, that of rewetting the mires, has been carried on in various guises since 2007, and is based on a fundamental misunderstanding of the Dartmoor blanket bog. 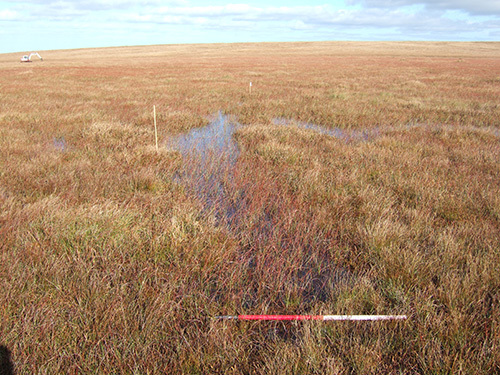 The bog is old – 8,000 years or so – and inevitably where it has built up to a depth of 2m or more, on slopes of a certain gradient, pieces will occasionally ‘calve’ off like an iceberg from a glacier. If a plateau bog (like Winneys Down 1 and 2 or Flat Tor Pan), pools will form on its flat wet surface. These will eventually revegetate quite naturally as evidenced from the Flow Country of Scotland (4000 square km of blanket bog). The core tenet of this project is that the bog is eroding. Of course it is – all land surfaces erode – but what has not been demonstrated is that this erosion is in any way significant or different to what has happened before. We have eyewitness descriptions going back nearly 200 years (disgracefully not researched by any of the partners in the project) that describe the bogs as they are today – nothing significant has changed. To justify work of the cost and scale now in progress, such significant change should long ago have been demonstrated, based on long-term observation. There are no such data, and there is no crisis that needs dealing with. Despite five years of so-called pilot schemes, we still have no results in the public domain. The first two schemes at Amicombe and Blackabrook Down were on the sites of commercial peat digging of the 19th century and essentially involved blocking ditches despite these being ecological niches being gently filled by natural means. More recently, with money which supposedly Ofwat has allowed South West Water to raise from its water rates, attention has been turned to previously undisturbed plateau bogs with peat up to 6m deep and still growing. No proof of significant or unexpected erosion has been presented. Astonishingly, machines have been allowed to access these remote areas (Winneys Down 2 is more than 3 miles from the nearest road) to dig blocks of undisturbed peat and vegetation and then use them to create dams behind which water pools as a potential hazard, while forming unsightly tracks etc where no such thing existed before. Yet close at hand in each of these areas are plenty of examples of natural revegetation which has not been observed and monitored. That of Natural England and DEFRA – a metropolitan, external culture, academic and specialist, and very powerful because of its financial strength, treating hill farmers as if it were some colonial power dealing with awkward natives. Dartmoor National Park – a shallow external culture, non-academic, surprisingly deficient in knowledge of land and its meaning, but relying on the ‘warm-glow’ factor that goes with its label. Hill farmers – an ancient distinctive, indigenous culture, deeply knowledgeable about husbandry and the moor, deferential to academics but unfamiliar with external processes, confused, and essentially voiceless. Only 175 families are actively involved in grazing the commons. Their whole way of life is under threat. The so-called partnership is not one of equals. The dominant culture of Natural England and DEFRA has shown itself to be coercive and arrogant, threatening graziers who hesitate to sign up to HLS or support the Mires Project, or who counter demands to reduce stocking levels. Whose knowledge counts? The body which has the prime statutory duty (under the Dartmoor Commons Act 1985) to look after the husbandry and grazing of the commons is the Commoners Council. All other parties should be supporting this role and subsidiary to it, but able to offer advice and money where appropriate. Restocking of the moorland is essential in order to create the overarching public good of a dominant grassland sward, but one full of subtle variety. The present damaging rewetting programme involving machinery and disturbance should be abandoned immediately. The project should shift radically to one of observation, monitoring and benign research, if need be over a long timescale, recognising that the 12,500 hectares of Dartmoor blanket bog are like an old friend – wrinkled, characterful but wise. Only thus will the core culture of Dartmoor hillfarming be maintained and encouraged. 2006 – fewer than 10,000 animals - since introduction of ESAs in 1994 (Andy Guy, idem). 3. Vegetation:‘The grass is getting so long we’re losing all the birds – the skylarks are going and there are no lapwings any more – and people can’t walk in some places’ (Farmer Donna Penwill quoted in Western Morning News, 12 October 2012). 4. Blanket bog: ‘the East Dart...proceeds down the valley, augmenting considerably as it drains the hill on the west side, which is one immense peat-bog, broken into small banks or hillocks, the intervals being entirely occupied with a swamp of black peat. These several morasses are indeed worthy of inspection, being the origin of numerous brooks and rivers, although little known or visited by the explorers of Dartmoor wonders.’ (May 1830 – Sophie Dixon, A Journal of Ten Days Excursion on the Western and Northern Borders of Dartmoor pp 25-6). 5. Blanket bog: ‘The ground, which for many feet deep is nothing but black peat of a soapy consistency, is rent into chasms running in every direction, and the surface is thus divided into small islands, as it were, covered with a coarse grass...This boggy land...stretches for several miles...and cannot fail to impress him who seeks its solitudes. There is a grandeur about these wild portions of the forest, where nature still reigns with undisputed sway...’ (1888 – William Crossing, Amid Devonia’s Alps or Wanderings & Adventures on Dartmoor pp 127-8). 6. Rewetting: ‘The areas [of Dartmoor] which are currently being wetted do not benefit reservoirs directly’ (Alison Butts, South West Water, email to Elisabeth Greeves, 27 February 2012) . But compare: ‘I don’t want to alienate people who send us whacking great cheques’. 8. Dartmoor Commoners’ Council: ‘Under the Dartmoor Commons Act 1985 the Dartmoor Commoners’ Council governs the exercise of common rights, animal husbandry and vegetation management on the commons’ (Dartmoor National Park Management Plan 2007-2012, p.31). I have been asked to advise in writing regarding the proposed fencing works on Broad Down relating to hydrological monitoring equipment which is to be deployed as part of the monitoring process for the Dartmoor Mires Project. The proposed fencing of part of the commons engages the provisions of the Commons Act 2006 and the Dartmoor Commons Act 1985. A person may not, except with the consent of the appropriate national authority, carry out any restricted works on land to which this section applies. works for the resurfacing of land. the digging of ditches and trenches and the building of embankments. This makes it clear that the prior consent of the Secretary of State is required for the erection of fencing if it will have the effect of preventing or impeding access to, or over any common land. works on any land where the works are carried out under a power conferred by or under any enactment applying to common land. This means that if there is a specific statutory power to erect fencing on the commons, it will override the general prohibition in the Commons Act 2006. The 1985 Act also provides that the Authority may fence and enclose parts of the commons for as long as may appear necessary for the attainment of the purposes of the regulation or prohibition of access in pursuit of the aim set out in (b)(i) above. The Dartmoor Mires Project is primarily concerned with the restoration and conservation of the commons. The hydrological survey equipment is required to monitor the restoration work and evaluate its success. The fencing is a direct consequence of the deployment of the hydrological equipment. Given the intended use of the equipment and fencing, the Dartmoor Commons Act permits the Authority to deploy the equipment and fence it without the need for consent from the Secretary of State. It should be noted that the power in section 10(4) is subject to a number of restrictions. Section 10(8) preserves the right of the owner of the commons (or any person acting on behalf of the owner) have access to every part of the commons at any time. Section 10(9) requires the Authority to serve notice by newspaper advertisement of the regulation/prohibition of access by the public, its intended duration and the reasons which it has made and inviting written representations within 28 days after the date of publication of the notice. The Authority is also required to consider all such representations so made before making its determination, save in case of an emergency. A notice was place in the Western Morning News setting out details of the proposed restriction of public access on common land at Broad Down and inviting representations by 10 February 2012. The Dartmoor Commoners Council and Dartmoor Forest Commoners Association were individually consulted, as required by section 10(4)(b) of the 1985 Act. The Central Council of Physical Recreation were also consulted, as required by section 10(9) of the 1985 Act. In the event, three responses were received: from the Open Spaces Society, the Dartmoor Society and a Mr Paul Rendell. The Open Spaces Society express concern about the proposed use of s.10 of the Dartmoor Commons Act 1985, which they regard as inappropriate. In their view, the fencing is not in itself for the purposes of protecting and restoring the natural beauty of the commons and an application should be made to the Secretary of State under s.38 of the Commons Act 2006. However, the Society also indicate that they have no objection to the fencing per se and no objection is made to the location of the proposed fencing, the extent of the proposed fencing or the type of proposed fencing. The Dartmoor Society calls for a full Public Inquiry into the Dartmoor Mires Project. It rejects as inappropriate the use of section 10(4) of the Dartmoor Commons Act 1985 and states that an application should be made to the Secretary of State under s.38 of the Commons Act 2006. However, the Society welcomes advance monitoring in principle and accepts that scientific equipment for advance monitoring will need to be fenced. No objection is made to the location of the proposed fencing, the extent of the proposed fencing or the duration of the proposed access restriction. Mr Paul Rendell raises concerns about the potential disturbance of a military crash site in the vicinity of the proposed fencing. The Authority has given public notice of its intention to rely on powers conferred under s.10 of the Dartmoor Commons Act 1985. It has also consulted with the Dartmoor Commoners Council, the Dartmoor Forest Commoners Association and the Central Council of Physical Recreation as required. No objection has been received to the need, location, extent, type or duration of the proposed fencing. 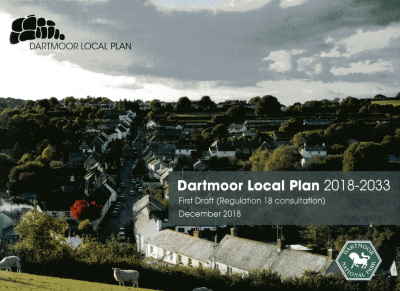 Some questions have been raised whether the proposed works constitute an appropriate use of the Dartmoor Commons Act 1985, but no case law or legal opinion has been produced to show that the Authority is not entitled to rely on the powers under s.10 of the 1985 Act in conjunction with the exemption under s.38(6) of the Commons Act 2006. In all the circumstances, it is my opinion that the Authority has engaged in an appropriate public consultation process which has not resulted in any significant objection in law or principle to the proposed works. I do not believe that there is any legal impediment in proceeding with the erection of fencing and siting of hydrological monitoring equipment on Broad Down as proposed. Slideshow - "Dartmoor Mires Project - Interfering With Nature"
The Dartmoor Society has put together a slideshow of images and issues surrounding the Dartmoor Mires Project which you can watch below or on our YouTube channel. 1. The Dartmoor Society (hereafter ‘The Society’) was established in 1998 to be ‘an independent voice and a forum for debate for those who find Dartmoor a source of livelihood or inspiration’. It is a registered charity (no. 1111066) with broadly educational aims, and has more than 500 members. 2. The Society has consistently questioned the purpose, efficacy and management of the Mires Project – see Newsletters 34 (February 2009) pp 5-7; 35 (June 2009), p.13; 37 (February 2010) pp 3-5; 38 (June 2010) p.3; 42 (October 2011), pp. 27-32. We have also held a relevant public Debate (September 2008), two relevant public Research Lectures (in 2007 by Dr Ralph Fyfe and in 2010 by Lauren Parry), and had site visits to both Blackabrook and Winneys Down. The Society also argued (in a letter to Dr Kevin Bishop dated 30 April 2010) that the works at each site required consent from the Secretary of State under the Commons Act 2006, and that there should be a Public Inquiry. 3. The Society welcomes this opportunity to make representations as it is the first time since work began on Dartmoor mires in 2007 (at Amicombe Hill) that the public have been given an opportunity to comment. However, it is surprising that, two years into the Dartmoor Mires Project (2010–2015), this proposal is only now being made. 4. The Society has always argued that research and scientific monitoring (re hydrology, etc) should be part of any ‘rewetting’ project, especially in advance of any physical work on site creating dams etc. Regrettably and, in our opinion, inexcusably, no hydrological monitoring has yet happened at any of the ‘pilot’ sites (since 2007) nor in connection with the specific Dartmoor Mires Project which is already 40% through its time schedule of 5 years (2010–2015), and the results of any other monitoring (erosion/ photographic/vegetation/birds/invertebrates/historic environment/peat cutting), if it has taken place, are not in the public domain. 5. The proposal before us has an element of advance monitoring, which we welcome in principle, and we accept that scientific equipment for advance monitoring will need to be fenced. 6.1. The location is wrongly named ‘Broad Down’ being approximately one mile north-west of Broad Down. The location of the project is properly known as Flat Tor Pan and should be referred to by that name. That the managers of the project call it ‘Broad Down’ does not reassure us regarding their knowledge of Dartmoor. 6.2. The Society is concerned that, on information it has received, there has been no plenary session of the Dartmoor Commoners’ Council to assess and discuss the proposal at length, and so members of that Council have been denied an opportunity to discuss it collectively, which is surely the very purpose of that Council. 6.3. The Society believes that application for the works (monitoring and other) should be made to the Secretary of State under Section 38 of the Commons Act 2006 rather than by using Section 10 (4) of the Dartmoor Commons Act 1985. The latter has a key criterion of ‘protection and restoration of the natural beauty of the commons’, which the fence will not in itself do, and Section 10(4) is intended to keep people off small areas of eroded land for short periods, not the nine years asked for in this instance. The proposed works at ‘Broad Down’, after initial monitoring, include the disturbance of ground and the creation of scores of peat dams or embankments (some with timber) over some 10 hectares of ground [Source: Fig. 2 in Arnott, S. (2011) Dartmoor Mires Project Hydrological Monitoring Plan; email from Frances Cooper, Dartmoor Mires Project Officer 18 Jan 2012]. Among restricted works which require consent under Section 38 of the Commons Act are ‘fencing…ditches, trenches, embankments’ and ‘works which might have the effect of preventing or impeding access to or over the land’, and the Society believes the proposed works fall under these categories. In a letter to Dr Tom Greeves dated 4 May 2010 Dr Kevin Bishop, Chief Executive of Dartmoor National Park, argued that the reason Section 38 (Commons Act 2006) consent was not then being sought on rewetting projects was that the works ‘do not have the effect of preventing, or impeding, access to, or over, the land’. This is clearly not the case with the proposed fence. Therefore, on their own criteria, Dartmoor National Park Authority should now apply under Section 38 of the Commons Act 2006. 6.4. Furthermore, the Society is concerned that a decision on the representations for the proposed works is, at the moment, in the hands of Dartmoor National Park Authority which has a financial interest (£1.1 million) in the project and so cannot be considered an unbiased and impartial party. The Secretary of State should therefore be the arbiter, through use of Section 38 of the Commons Act 2006. 6.5. Three so-called ‘pilot’ schemes have already been initiated on Dartmoor since 2007 – Amicombe Hill, Blackabrook and Winneys Down. Despite it now being almost five years since the start of the first of them, there is no detailed information in the public domain giving results and assessments of these projects. The Society would argue that no further project should be initiated and that there should be no further expenditure of money and public resources until the results of the previous ‘pilot’ schemes have been properly and rigorously assessed, and data published with accurate maps and plans. 6.6. 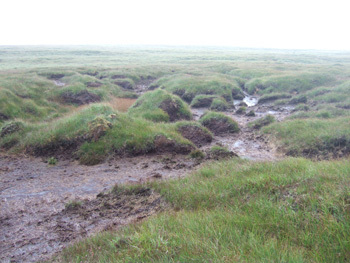 Fundamentally, the Society is not persuaded that the need for rewetting has been proven, nor that any evidence has been presented to show that there is any recent erosion of the Dartmoor peat which is different to that which has occurred naturally over several hundred if not thousand years. We challenge the claim of South West Water that the works associated with the Dartmoor Mires Project at Winneys Down and elsewhere will cause cleaner run-off into reservoirs (and thus save them money otherwise spent on treating ‘turbid and discoloured water’), as none of the sites drains into a reservoir from which water is abstracted, and we also challenge their claim that ‘downstream flooding risks’ will be reduced (including, it was implied, in Torquay, to which no Dartmoor rivers flow). 6.7. The work already undertaken at Winneys Down is a major cause for concern, especially relating to the tracks made by vehicles, the interference with a previously undisturbed and healthy bog, potential hazards to livestock and walkers due to the depth of the ponds (1–2 ft deep with soft peat at the bottom), and the unstable nature of those dams/embankments which have become waterlogged (the ponds fill with water then overflow), besides the lack of any hydrological monitoring etc. 6.8. Graziers claim they have lost grazing ground at Blackabrook due to the water-filled dams/embankments, and that the ponds are a potentially fatal hazard to livestock. One grazier lost a sheep in 2010 and another lost a calf in 2011. 6.9. No mention is made of the aircraft crash site at Flat Tor Pan which is of historic/archaeological interest, with debris from a Sea Vixen from Yeovilton which crashed on 31 May 1965, the pilots ejecting safely. The site is in the vicinity of a pond (which may have been created by the impact of the crash) in the heart of the project area, and should not be disturbed. The pond itself deserves study and monitoring. 6.10. The Society is concerned about the increasing costs of the monitoring proposals which were initially said to be £90,000 (DNPA website Briefing Note June 2011), but which Dr Sean Arnott has assessed as an average of £102,280 (Arnott, 2011, op.cit., p.26). 7. The Society therefore requests that there should be a full Public Inquiry into the Dartmoor Mires Project before any further ‘pilot’ project or monitoring is started, or money spent, as we believe there are many grounds for concern and issues of public interest regarding the justification, purpose, efficacy, costs, consultation process and management of the current project and previous related works, all of which deserve a full hearing and public scrutiny by a neutral party or parties. We consider that any delay and costs that might be caused or incurred by a Public Inquiry will be beneficial in the long-term as the matter reaches to the heart of hill farming on Dartmoor and the proper management of the commons, and is of major interest for graziers, scientists, land managers and the general public. We had chosen St Swithun’s day for this expedition to high Dartmoor, and the weather forecast was doubtful as ten members gathered in the carpark at Fernworthy Reservoir. Our guides were Frances Cooper (Mires Project Officer of DNPA), Andy Guy from Natural England, and Peter Challis (DNPA guide required for ‘health and safety’!). Several of us were surprised to see two ugly, urbanising and unwelcome notices and a ‘Pay & Display’ machine installed by South West Lakes Trust in March 2011. While a donation ‘cairn’ might not have been inappropriate, these intrusions seemed quite wrong in such a location, and could be a most undesirable precedent for other Dartmoor reservoirs. The reservoir was significantly ‘drawn down’ due to the dry year experienced so far. Combined in four cars we drove to the top end of the reservoir and then through a locked gate onto the forestry tracks which took us to the Moorgate nearest the Grey Wethers stone circles. A few spits of drizzle alerted us to put on wet weather gear at this point. From here there was an easy walk to Sittaford Tor past the impressive circles. Crossing a stile over a newtake wall, we saw a lovely herd of belted Galloways, belonging to Mr Patrick Coaker of Bittleford. We headed south-westwards to a point between the head of the Maish Hill Brook and Winneys Down Brook, at approx. SX 6230 8200. 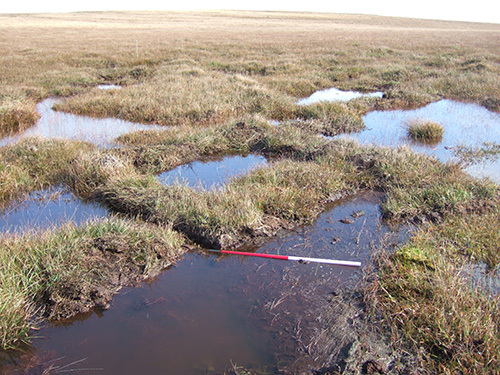 Here at a height of about 1700 ft OD (517m) we were at the centre of one of the deepest peat bogs on Dartmoor, with peat 5.5–6.7m (18–22 ft) deep and proven to be 8,000 years old. Dr Ralph Fyfe of Plymouth University has conducted this work, using ground penetrating radar, coring and radiocarbon dates. A steady light rain had begun by this time. The surface of the ground was damp and distinctly spongy, and vibrated if you stood still and another person walked by. Sedges (including White Beak Sedge – Rhynchospora alba – which is an indicator of ‘actively forming bog), cotton grass, sphagnum species, sundew and several flowering plants were in abundance – spiders and other creatures could be observed. It was a beautifully atmospheric spot. 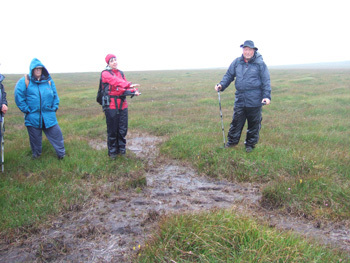 The ground contained some low ‘hummocks and hollows’ which indicates a healthy bog (we were shown similar features on our Exmoor visit with Dr David Smith in 2010). Frances Cooper explained what was intended here in what she described as a ‘pilot project’. A grant of £1.1m from South West Water is funding a 5-year project which began in 2010. This includes the salaries of Frances and a specialist peat archaeologist from Ireland, Nicola Rohan, who is to start a 3-year stint soon. The project is a partnership between DNPA (who lead the project), South West Water, the Environment Agency, the Duchy of Cornwall and the Commoners Council. Other interested parties who are involved in the process include Ministry of Defence, Forest of Dartmoor Commoners Association, Royal Society for the Protection of Birds, English Heritage and the Dartmoor Access Forum. It was pointed out that the Dartmoor Society was not included, but we were told that ‘all Dartmoor Society issues are represented’! The practical work on Winneys Down will consume about 25% of the budget (c. £250,000). This is due to start in September/October 2011 and consists of five weeks of work intended to prevent the erosion of the precious bog, undertaken by contractors working with a 7–8 tonne ultra low pressure vehicle, moving blocks of peat to dam shallow channels (including already vegetated ‘islands’ within the channels) in order to encourage growth of sphagnum and other plants on bare peat. Scepticism about the use of such machines on such ground, and concern about the damage it might do, was expressed by an experienced digger driver among our group, not least because the vehicle will be required to track back to a temporary ‘depot’ to pick up fuel. Unlike at Blackabrook and Amicombe, no timber is to be used in the construction of dams, and the aim here is not the rewetting of the peat but the ‘restoration’ of the vegetation of the bog where there are shallow open channels. The view was expressed by Society members that these channels might be an entirely ‘natural’ process within the bog and a phenomenon that is likely to have been associated with peat bogs since their origins several millennia ago, but Andy Guy claimed that the bog had been damaged by overgrazing and by fire and pointed out exposed peat to support his arguments – but no real evidence was presented. We were shown the edge of a wildfire that had burnt in April – this is now completely revegetated with new growth and looked very healthy, though the official view is that it was damaging. We were then taken to some eroding peat gullies at the head of the little ‘combe’ that runs down to join the start of Sandy Hole Pass on the East Dart at SX 6215 8150. These gullies are clearly draining from the main bog and define the edge of the bog itself. There is no intention to attempt to block these gullies but, instead, shallow channels on a very slight gradient above the gullies will be given similar treatment to those on the main body of the bog itself – i.e. they will be blocked with peat in the hope that vegetation will take hold. The theory goes that if these ‘feeder channels’ can be revegetated then erosion further downslope can be reduced. Our group noticed that several of these channels were being revegetated with cotton grass (Eriophorum) by natural processes without human interference. We were told that no hydrological monitoring will take place on Winneys Down. Despite more or less continuous light rain we were not enveloped in fog and could see something of the surrounding landscape. A late lunch was taken in the shelter of Sittaford Tor and a return to the carpark was made by 3pm. In addition to SWW funding Natural England has put in £250,000 to cover archaeological/historical work and LiDAR surveys. Frances Cooper told us that the historic environment was ‘hugely important’. A further £1.2m will be available annually under Higher Level Stewardship from 2012 to support graziers who have ‘lears’ (i.e. traditional grazing areas) for their cattle and sheep on or near the blanket bog. A significant amount of research has been carried out and is planned. Dr Phil Newman has made a study of the peat industry which is titled Domestic and Industrial Peat-Cutting on North-western Dartmoor, Devonshire: an Archaeological and Historical Investigation. We were told that this will be made available on the Mires Project website. A major hydrological monitoring and restoration project is to be undertaken on 24 ha of bog at Flat Tor Pan at approx. SX 613812 (bizarrely, this is to be called ‘Broad Down’ by the Mires Project as the managers seem ignorant of the name Flat Tor Pan (although it was recorded by Brian le Messurier in his article ‘The Phillpotts Peat Passes of Northern Dartmoor – a pioneer survey’, Trans. Devon. Assoc.,97, 1965, 161–170), and the managers were not happy with an alternative suggestion of Wildbanks Marsh). The Environment Agency and the University of Exeter will be conducting this work, for a minimum of 5 years and, hopefully, nine. The ‘restoration’ is due to take place in the autumn of 2013. The monitoring equipment will be within a fenced area and this will require permission from the Secretary of State as works on common land (this is welcome and may be at least partly due to pressure of the Dartmoor Society). More detailed work on the profile of the peat by Ground Penetrating Radar is also planned in a 1km × 4km transect across Winneys Down and beyond. Surveys of breeding birds and invertebrates are also to be undertaken. We were all most grateful to Frances Cooper, Andy Guy and Peter Challis for giving us their time, and for answering the many questions put to them. We welcome the new emphasis on historical and other research and data gathering, which is what the Dartmoor Society has always argued was needed if the project was to have any credibility. We are also pleased that no timber is to be used in the forthcoming ‘restoration’ works, and that permission from the Secretary of State is to be sought for the fencing at Flat Tor Pan (‘Broad Down’). So it would seem that the concerns of the Dartmoor Society have, to some extent, been heeded. However, we still have considerable reservations about the practical so-called restoration. This is to be carried out at Winneys Down without any previous monitoring of the channels over a number of years to observe their condition. We need to know the processes by which the observed natural revegetation takes place – might it not, for example, be linked to the accumulation of dry molinia grasses blown into the channels to a significant depth in winter? Without this data and monitoring, the claim that the bog is eroding is unproven, and a lot of public money and carbon is to be expended on human interference which is likely to result in new vegetation growth but without being based on rigorous investigation. We are also concerned about the ‘spin’ put on the project as a whole. South West Water (who have invented the term ‘Upstream Thinking’) quite untruthfully claimed on their website that the project would stop flash floods in the South Hams and Torbay area, and that it will reduce run-off and provide clean water which will save them money – despite the fact that none of the project areas drain into reservoirs or indeed Torbay. Claims are also made by Natural England and others that the blanket bog is drying out and eroding. We want to see real data (e.g. comparative aerial photographs) supporting these assertions, but none has yet been produced. Claims about overgrazing and the damage caused by fires seems equally unsupported by hard evidence. We also require reports in the public domain giving us the results of the previous ‘pilot projects’ on Amicombe Hill and Blackabrook Down’. From my own experience of walking Dartmoor over more than half a century, it would seem that the very wet ‘blanket peat’, on the plateau at Winneys Down is relatively uncommon and certainly different in character (in its vegetation communities, hydrology etc) to that found on the slopes and tops of the high hills of the north moor (e.g. Cut Hill), and it would be good to have a specialist opinion about this. Sophie Dixon in 1830, described the ground in the vicinity of the headwaters of the East Dart, referring to ‘one immense peat-bog, broken into small banks or hillocks, the intervals being entirely occupied with a swamp of black peat’ (A Journal of Ten Days Excursion on the Western and Northern Borders of Dartmoor, Plymouth, 1830, p.25) . It would seem that the character of Dartmoor peat has not changed radically in nearly two hundred years and, presumably, much longer. The managers of the Mires Project need to provide hard evidence in support of any claims to the contrary. Tom Greeves, with help from Barry and Tanya Welch. Response of the Dartmoor Society to DNPA's "Development Management and Delivery Development Plan Document, Consultation Draft July 2011"
In the Introduction to this document of 193 pages, paragraph 1.1.2 states ‘The DMD provides the more detailed policies that are needed to supplement the strategic policies in the Core Strategy Development Plan Document’. It would now seem that our cautious optimism was misplaced as, apart from its inclusion of Settlement Maps, there is little to distinguish this document from the Core Strategy. The consequence is that we now have a second layer of policies, not clearly distinguishable from each other, as well as a third layer of policies in the DNPA Management Plan. This is totally unnecessary bureaucracy (imposed by Government) and a patently obvious waste of resources when one policy document should suffice for all three. In May 2009 we sent very specific comments to DNPA on some of the sixty-nine Topics included for discussion in the draft DMD document, plus comment on other issues. Our comments are published in our Newsletter 36, October 2009, 7–10. It is disappointing that scrutiny of the present document reveals that most of the Dartmoor Society’s comments of May 2009 have been ignored, without any opportunity for discussion. There are two significant exceptions where our views have been supported, at least partially – a) DMD 28 Replacement Dwellings in the countryside – this gives greater control over replacement dwellings. b) DMD 31 Low Impact dwellings in the Countryside - this is the first DNPA policy to recognise the potential benefit of ‘alternative’ forms of dwelling, and has relevance to the Steward Wood Community whom we have consistently supported in the face of aggressive opposition from DNPA. The Settlement Maps, which in principle are a valuable addition, are actually disappointingly bland. Some show nothing at all apart from the layout of the settlement. This is a missed opportunity – they should show, for example, all those buildings which are statutorily listed, the location of all known archaeological features recorded on the HER, and the presence of open space and gardens, plus significant natural features such as trees covered by Tree Preservation Orders. Some simple colour coding would enable such information to be clearly presented. Without such information, the parish community and the lay person is little the wiser about what is known and protected in their place. Many of the proposed policies are stating the obvious, given that national parks are ‘confirmed by Government as having the highest status of protection in relation to landscape and scenic beauty’ (para 2.1.4). Somewhat worryingly, in the same paragraph ‘conservation of wildlife and the cultural heritage’ appear to be given a lesser status as ‘also important considerations’. The more specific policies (DMD17–DMD31) are the most useful ones. The successful outcome of all policies depends on the dissemination of sound information and the constant training of both officers and members of DNPA. It is high time that DNPA recognised and stated that the current management of the Dartmoor Training Area is not ‘in conflict with national park purposes’ and indeed makes a positive contribution to many of them. Core Strategic Aim – Landscape Evolution – the phrase ‘archaeological qualities’ is a strange one. Perhaps ‘tangible presence of the past’ would be better. 2.7.2 ‘drivers of future landscape change’ – there should be a statement in this paragraph about the negative influence of increasing population pressure and the increasing consumption of resources. 2.8.4 Moor and Heath of Conservation Importance – the ‘conservation importance’ of Moor and Heath needs to be defined/expressed more fully – ‘natural beauty’ is not a sufficient description to justify conservation alone and there needs to be inclusion of the cultural landscape. 2.8.6 Orchards – the fact that only 76ha of orchards survive (780 separate orchards existed within DNP in 1960) should be a matter of major concern and there should be a strong policy to actively encourage their renovation/recreation. There is much mention of ‘heritage assets’ (‘not designated but which have heritage value and which are therefore a material planning consideration’) arising out of the Government PPS5 – Planning for the Historic Environment. While the concept has some merit, DNPA has for many years been notoriously bad at giving non-designated features of archaeological or historic interest due consideration when giving advice on, or taking, development control decisions. Policies DMD (iv), DMD9, DMD10 and DMD12 and paras 2.10.2.–2.10.6 and 2.10.9 have a hollow ring to them in view of the recent fate of historic buildings within the Conservation Area of Princetown, of Yellowmeade Farm, of a granite barn at Two Bridges Hotel, and of Mount Pleasant Farm, Murchington, besides numerous other sites. It is good to have a policy in place, but it will have no effect unless officers and members are constantly trained and informed about new data and ideas relating to the historic environment. In particular, there needs to be a policy statement specifically relating to 20th century buildings and their importance in architectural, historical and social terms, as they are the buildings often most at risk through a misplaced assumption that somehow they are of lesser importance than older buildings. Para 2.10.6 – mention of ‘Boulton & Paul’ needs expanding such as ‘Boulton & Paul bungalows of the early 20th century’. 2.10.16, line 1 – add ‘or heritage asset’ after ‘listed building’ as many heritage assets are not listed. This is not a clearly written section, and contains repetition. There needs to be a clearer statement about the extent and time-frame of archaeology on Dartmoor, including mention of 20th century features such as industrial and wartime sites. Is the correct terminology ‘Scheduled Monument’ or ’Scheduled Ancient Monument’? The former seems increasingly used (and is used in the Ancient Monuments & Archaeological Areas Act 1979), so why is the term ‘ancient monument’ used in the text? We remain critical of the concept of PALs (Premier Archaeological Landscapes), claimed to be of ‘international importance’ (2.11.2), as an inappropriate (and ineffective) management tool of open moorland or moorland newtakes because they create a hierarchy of value which implies that non-PAL areas are somehow less important. Para 2.11.3 reveals a very muddled and unsatisfactory state of affairs. What is needed is a strong statement giving an overall designation for all open moorland, moorland newtakes and access land as ‘culturally significant’ with a presumption against any development. Para 2.11.4 ‘The skeleton of the present day enclosed landscape is of some antiquity and contains many archaeological sites’ is a very odd sentence, and needs rewriting. What exactly is meant by ‘skeleton’ and ‘some antiquity’ in this context? Figure 2 – Strategic Nature Areas - this map and its key are curious, and needs careful checking. Much Woodland seems to be missing from it, and much of what is shown as ‘Neutral Grassland’ is surely Woodland? The heart sinks at yet another designation ‘Strategic Nature Area’. 2.14.4, line 27 Renewable energy – add ‘and archaeological’ after ‘ecological’. DMD21 – Telecommunications Development. The final paragraph of this policy states that a ‘condition will be applied requiring the removal of all structures and the reinstatement of the site if the development becomes redundant’. This should be deleted as such a policy is in conflict with good archaeological management practice of leaving at least the foundations of any abandoned structure. It is specially important in relation to modern structures which are easily labelled as ‘eyesores’ once abandoned and yet have an important story to tell, and are silent historic witnesses once abandoned. A good example of management has recently been implemented by Sibelco UK relating to modern clayworking structures south of Cadover Bridge (see ‘In Focus’ in Dartmoor Online, Autumn 2011 – www.dartmooronline.co.uk). If such a condition had been applied to Dartmoor in the past we would have no archaeology left at all! This must be considered one of the most important issues, and more data is needed. 2.20.6 Housing provision – There needs to be a Table showing the numbers of dwellings built and permissions given in the period 1996–2011 (this corresponds to the Devon County Structure Plan period for which there was a ‘target’ of 800 new dwellings within that 15-year period). The ‘target’ figure has been greatly exceeded and there needs to be a statement about this in the present document. The ‘indicative level’ of 50 units per year 2006-2026 also needs context, including the fact that in the two-year period 2006-2008 permissions for 247 new dwellings had already been given (see Newsletter 36 p.9). 2.20.11 Definition of ‘local people’ – Consideration should be given to including ‘essential service providers’ under the definition of ‘local people’. 2.20.19 ‘larger cohorts’ is a strange expression. 2.20.22 Domestic gardens – These should not be defined as ‘previously developed land’ but should be redefined as ‘open space of wildlife, cultural, social and visual importance’. 2.20.25 and DMD25 – Extensions – There should be a policy presumption against extensions as they diminish the stock of smaller dwellings. Permitted Development Rights should be removed within Dartmoor National Park. 2.20.28 and DMD28 – Replacement dwellings in the countryside – We welcome the stronger protective statements here, including the removal of Permitted Development Rights, but it would be helpful to reinforce them by stressing the importance of many 20th century buildings which are often seen as candidates for replacement. 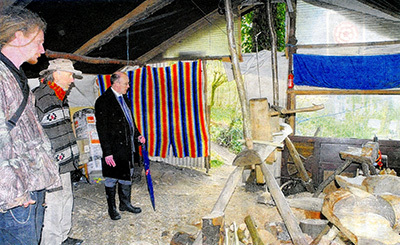 2.20.31 and DMD31 – low impact dwellings in the countryside – We welcome this new approach to low impact dwellings but the phrase about restoration of the site to its former condition when occupation ceases (para 2.20.31, lines 16-18) should be deleted for the reasons stated above (DMD21). We feel there should be a policy about the desirability of having public conveniences in heavily-used recreational areas e.g. Cadover Bridge. There is no evidence to support the specific date of 1285. We suggest deletion of ‘since 1285’. 3.2.6 Stannary Town – The prosperity of the tin industry in Ashburton actually peaked in the first half of the 16th century, not the end of the 15th century. 3.4.8 Stannary Town – In 1305 Chagford was confirmed as a coinage/stannary town. It had existed as a coinage town before then. There are extensive ancient tinworks in Biera Wood which is shown on the east of the map p.97 – this should be mentioned in addition to Bellacouch Meadow (which is not shown on the map, and should be). 3.5.3 There is no evidence that Horrabridge was established in the 14th century – it will have existed long before then as a settlement. Mention should be made of the important evidence of medieval and later tinworking at Fillace Park, linked to Furzehill mine, and to Wheal Franco which was one of the most important copper mines on west Dartmoor. 3.5.4 ‘Inappropriate development’ – DNPA needs to recognise that this development was approved by DNPA! More than any other Dartmoor settlement, Princetown has suffered a considerable loss of historic fabric in recent years through demolition and neglect of key 19th century and Edwardian buildings within the Conservation Area! The most notable recent casualties have been Morwenna/Stoneycliffe House and Bolts Stores, but include the Town Hall (designed by Richardson & Gill) and many other structures. Thus the statement that the Duchy Square Centre for Creativity has ‘improved the character and appearance of the village centre’ rings very hollowly, as does much of para 3.7.5, especially the claim that the Conservation Area is ‘an important asset in its tourist appeal’, as well as the claim that there has been ‘conservation and enhancement of heritage assets’ and that (3.7.7) Princetown’s ‘architecture tells an important story’. The reality has been the exact opposite, with the destruction of much of what should have been recognised as a unique settlement of the 19th and early 20th century. It is vitally important that the present document recognises that errors have been made and that there are still key buildings at risk e.g. Grosvenor House, Prison Officers’ Social Club etc. The importance of Plymouth/Drake’s Leat and the Devonport Leat needs to be mentioned, as well as the route of the Plymouth & Dartmoor Tramway. 3.9.1 Airfield – Correction needed – this is sited on Roborough Down and was known as Harrowbeer Aerodrome. 3.16.3 Bridge – There was an ancient bridge here – the earliest reference known to it is in 1568 (a tinworking deed). 3.19.2 Correction needed: the quarry is on the north-east side of the village not the south-east side as stated. Mention should be made of the lime quarries. Mention should be made of the important restoration of several of the houses in the village in the late 1930s by Capt. C.W. Quelch (see Shears, R.T. (1968) Conservation of Devon Cottages). It is surprising that Ilsington does not have a Conservation Area. There should be a statement about the integrity and attractiveness of the 19th century buildings of Lydford. The site of ancient Lydford Mill should be included within the Conservation Area, as well as the road junction and field containing the prehistoric barrow (‘tumulus’)/gallows site/windmill site, WNW of the war memorial. 3.27.4 There never was a ‘stannary courthouse’ here, only the gaol. However, the Forest Court was held in the Castle. The Castle itself deserves mention! The Conservation Area should include ‘Croftner’ at the junction of Bal Lane with the A386. 3.30.4 Deserted farmsteads – these should be shown on the map. Warrens is known as a farm site but where are Bowdens and Palmers? 3.31.1 - mention should be made of Mount Pleasant Farm having origins around AD 1400. Mention should be made of its strong mining tradition, and of the rare presence of a working farm (Chubb Farm) in the centre of the village. What has happened to its proposed Conservation Area? The whole of North Hall should be within the Conservation Area. 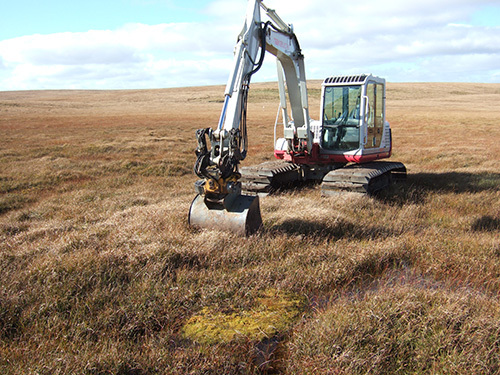 Brief reports expressing our concerns about works to ‘rewet’ Dartmoor’s blanket peat have appeared in Newsletter 34, pp5–7 and 35, p13. A new phase of activity is about to be launched. The report states baldly that there are areas ‘where erosion is seriously reducing the quality of Dartmoor’s blanket bogs’ and that ‘most of Dartmoor’s blanket bogs have been damaged or threatened by encroaching erosion’. We have requested data and evidence to support these statements and so far have been sent some rather unconvincing ground images. We are seeking further evidence to support these claims. Dr Tom Greeves wrote to Dr Kevin Bishop, Chief Executive of DNPA, in January 2010 requesting formally that The Dartmoor Society should have representation on the proposed Project Board, especially as we are the only body to have organised highly relevant public debates on Dartmoor’s Vegetation (2006) and Dartmoor’s Water Resources (2008), as well as hosting a Research Lecture on ‘Climatic & Environmental Change on Dartmoor’ by Dr Ralph Fyfe in 2007 – all of which have been published in our Newsletter and/or website. He replied saying that he would be ‘keen to ensure that we find a mechanism whereby the experience, enthusiasm and contacts of Dartmoor Society members can be used to support and guide the Dartmoor Mires Project along with the views of other partners’, and said that he would discuss our formal request with funding partners in mid-February. Of significant concern is the fact that existing works on Amicombe Hill and Blackabrook Down, and proposed works on Winney’s Down, are all ‘Works on Common Land’ and fall under the remit of the Commons Act 2006. Large quantities of timber are involved in making the dams (some 200 on Blackabrook Down alone), carbon-emitting vehicles are used, and the turf itself is partly broken to consolidate dams. Consent from the Secretary of State (via the Planning Inspectorate) is required (Commons Act 2006 Section 38) for ‘restricted works’ which include ‘any that prevent or impede access to or over the land. They include fencing, buildings, structures, ditches, trenches, embankments and other works, where the effect of those works is to prevent or impede access’. On 2 December 2009 Professor Ian Mercer stated at a meeting of the Commoners’ Council (of which he is Chairman) that ‘the damming [on Amicombe Hill and Blackabrook Down] has not gone through the right legal processes’. Dr Tom Greeves wrote to Prof. Mercer on 9 December requesting ‘that the Commoners’ Council, as the statutory body with responsibility for management of the commons of Dartmoor, takes the lead in ensuring that formal application is made by all parties concerned to the Secretary of State for existing and any future planned works on the blanket bog of Dartmoor’. Not surprisingly, Natural England apparently believes the works are exempt. However, this has not been put to the test and, under the Commons Act 2006, ‘Anyone undertaking exempt works must confirm that those works come within the terms of the exemption by posting a notice on site and informing the Secretary of State’. To our knowledge no such notice has been posted at Amicombe, Blackabrook or Winney’s Down. Under the Act ‘if works are carried out that go beyond the scope of an exemption, then any person may take enforcement action against them’. We believe that application for consent for these works should be made. Under the Act, ‘Applicants must advertise their proposals and make copies of plans available for inspection locally so that the public can make representations’. There is scope for a public local inquiry or hearing and it seems that such an inquiry would be appropriate in this case, given the scale of the works involved, uncertainties about their purpose and efficacy, and significant concerns among graziers and the general public relating to grazing, access and cultural heritage. We have no objection to the pure research elements of the project (e.g. dating of the peat) but believe the project as a whole is yet another instance of external bodies interfering on Dartmoor, driven by the availability of large sums of money. The momentum derived from funding, the fashionable pursuit of carbon management and the ‘partnership’ label can, as appears to have happened in this case, lead to a high-handed and arrogant approach, lacking in sensitivity to the traditional users of the ground, and the land itself, which would not have been tolerated if another body had suggested such works on common land. Professor Mercer is seeking further guidance and clarification from the Planning Inspectorate. Meanwhile, we ask members to be alert to any advertised notices for consent, or exemption from consent, on the ground or in newspapers. We welcome any information regarding these notices or any comments from members regarding the project in general.